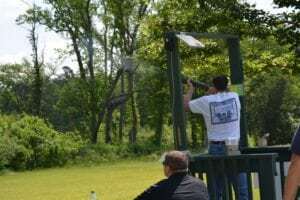 On Saturday, April 29th, the Backwoods Quail Club hosted the 19th Annual Klays for Kids Tournament to help raise funds for the local Children’s Miracle Network Hospital in Charleston, SC. All funds raised benefit the campaign to build the new MUSC Shawn Jenkins Children’s Hospital. 233 shooters gathered in Hemingway for a fun day with family and friends while supporting this wonderful cause. Among those shooters was Jacob Powell, father to MUSC patient David Powell. David is 8 years old and was born a healthy baby boy. At four days old, his parents knew something was wrong when his skin changed from yellow to orange overnight. 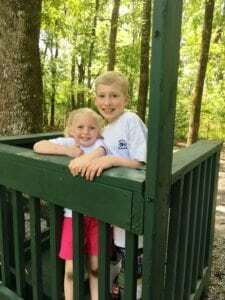 They rushed him to MUSC, where physicians immediately began a blood exchange, but David’s sever jaundice caused brain damage. He didn’t sit up until he was a year old, and he didn’t walk until he was two. With help from a cochlear implant and years of physical therapy, David now plays baseball in a regular league and goes hunting with his dad. This was a record breaking year for the event. 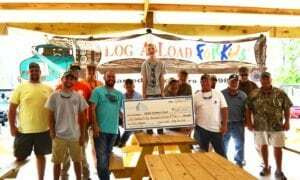 In 2018 the Backwoods Quail Club will host the 20th Annual Klays for Kids event and we are looking forward to another successful tournament put on by Log A Load and the Forestry Association of South Carolina. W&W Truck & Tractor, Inc.
Bay Area Forest Products, Inc.
Moore & Moore Wood, Inc.
White Oak Forest Management, Inc. Thank you to all of our Silver Sponsors and Bronze Sponsors and a special thanks to our *10 year sponsors as well.